A team of British scientists have discovered large helium reserve in Tanzania, thus putting to rest apprehensions of a global shortage of the gas. Though helium is abundant in the universe, it is extremely rare on the Earth, making up only about 0.00052 per cent of the planet’s atmosphere. Helium is also found in minerals or tapped gas deposits, which are depleting as years go by. 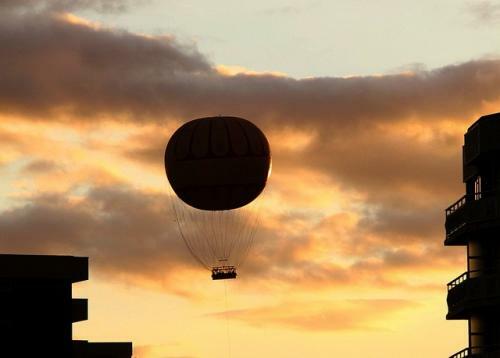 With the current global consumption of eight billion cubic feet (BCf) per year and total known world reserves of helium amounting to nearly 1,243 BCf, we will run out of helium reserves in 155 years or so, scientists said. The findings of the team, comprising scientists from Oxford, Durham and Norwegian helium exploration company Helium One, were revealed during the ongoing Goldschmidt geochemistry conference in Yokohama, Japan. Researchers found that the concentration of helium in Tanzania was high—the estimated presence is about 54 BCf in just one part of the Rift Valley. The high concentration was attributed to the geological process of heating and fracturing of the 2,500-4,000-million-year-old Tanzanian craton and the 542-2,500-million-year-old Mozambique belt by the less than five-million-year-old East African Rift. The finding is revolutionary as it will act as a model for helium exploration in future. Earlier, helium had been discovered accidentally in oil and gas drilling, but now geologists can go looking for the gas near volcanoes which spew the gas from helium-bearing rocks. These rocks, in turn, contain helium because it is a byproduct in the decay of radioactive elements like uranium. From there, it is either trapped in gas fields or carried in saline groundwater. “Volcanic activity likely provides the heat necessary to release the helium accumulated in ancient crustal rocks. However, if gas traps are located too close to a given volcano, they run the risk of helium being heavily diluted by volcanic gases such as carbon dioxide, just as we see in thermal springs from the region,” Diveena Danabalan, of Durham University’s Department of Earth Sciences, said. She added that they were now working to identify the “goldilocks-zone” between the ancient crust and the modern volcanoes where the balance between helium release and volcanic dilution is just right. “We can apply this same strategy to other parts of the world with a similar geological history to find new helium resources,” Pete Barry of the University of Oxford, who sampled the gases, said in a news release by Oxford. Helium has wide applications. Due to its low boiling point, it is used to cool electromagnets used in magnetic resonance imaging scanners and magnets used in semi-conductors. Liquid helium is also used to cool electromagnets used in superconducting cables in the Large Hadron Collider. Being lighter than air, helium is used in aviation systems, aerospace systems and the party balloon.